Jeanne Samary looks born ready for Friday, doesn’t she? 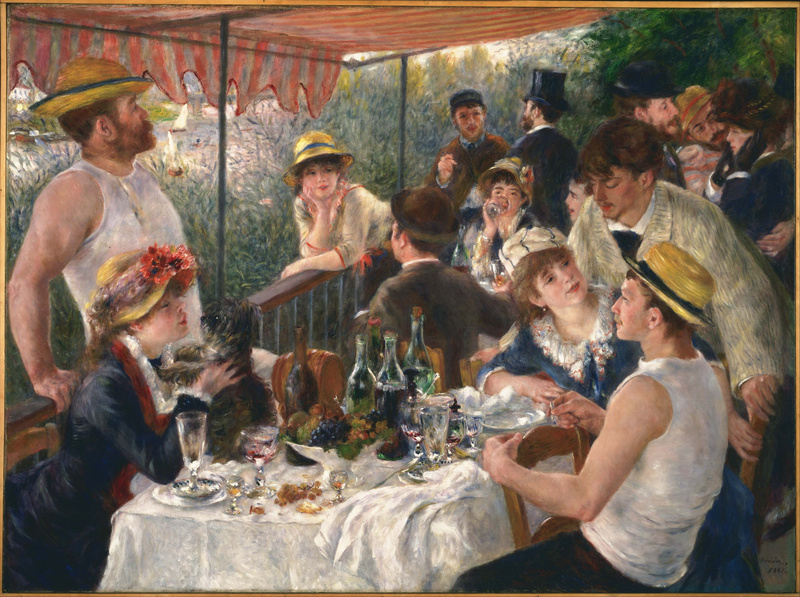 Turns out she used to go out with Renoir, who painted her post-break up in the Luncheon of the Boating Party that you can see at the Phillips Collection in DC. She’s the one being a major flirt with the two men at the back. 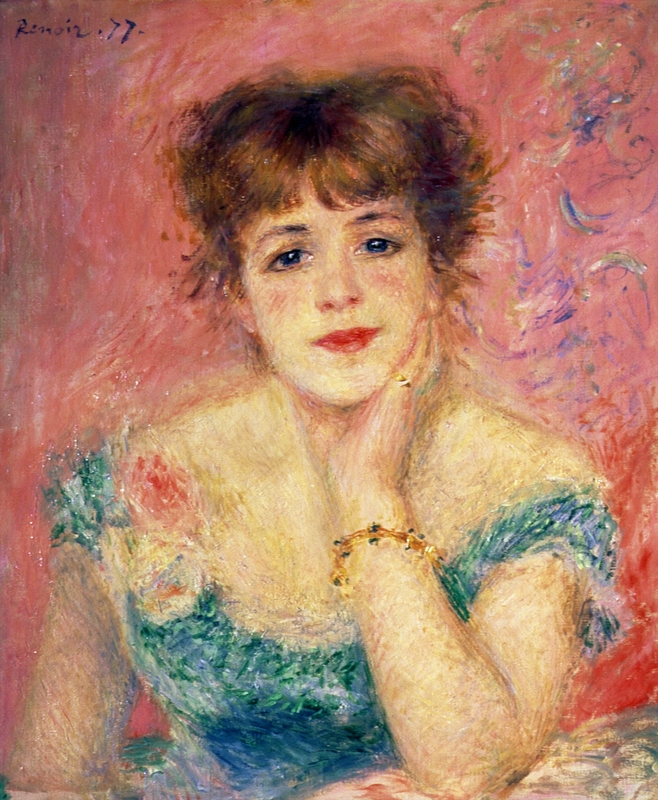 And Renoir’s new girlfriend is playing with the dog. Whaaaa?! Renoir, you so crazy!